Frugal Freedom: Is It Over Already? I got so much done this weekend. I need a dozen more weekends so that I can make some real improvements around here. Of course, after a dozen weekends I would be broke but I think my life would be a little easier. While at Home Depot looking at wire fencing, I got side tracked by insulation, panelling, an on-demand hot water heat that runs on 110V, all stuff I need if I am going to add a room in my mobile home. The prices weren't too bad. I don't have the money to work on my mobile home right now unless I borrow from the money I will get when I sell my RV next year. I really don't want to spend another summer in my RV so I am debating the merits of the project. People I talk to say not to bother, that I would be wasting my money and should just buy a replacement manufactured home or get a construction loan and build a house. 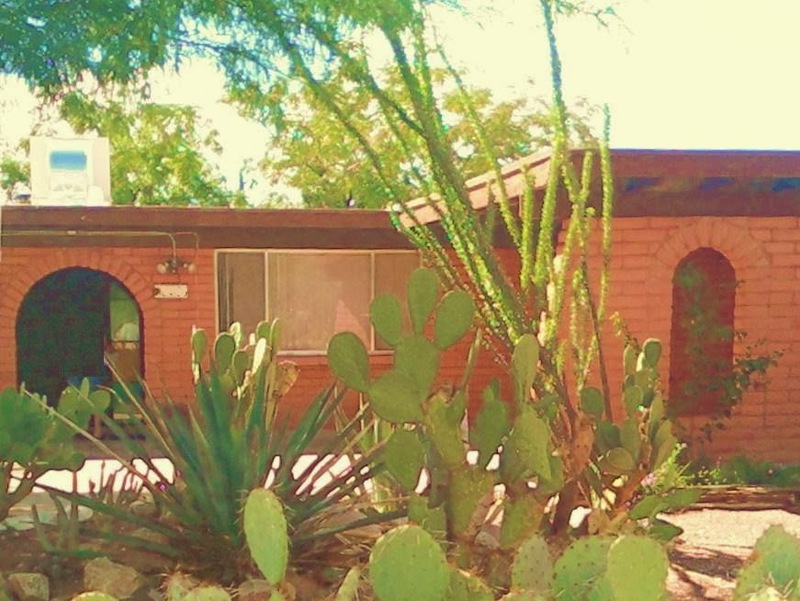 I don't like the idea of getting another big loan so soon and even a used mobile home will cost me $20k and still need improvements like a water system. I think I can add a room to my existing mobile home very cheaply. The biggest problem that I see is that one of my dogs looks like she would like to eat cats for breakfast. But if that doggie gets adopted then that won't be a problem. I did buy a big roll of fence wire today. I have been looking for it on craig's list but only saw one item for $150. I wasn't sure if that was a good price or not so I went to the store to look for myself. They had a 4'x100' roll of wire for $72. I bought it with my birthday gift card (thanks sister!) and managed to get it unrolled and temporarily secured a few minutes before the sun went down. 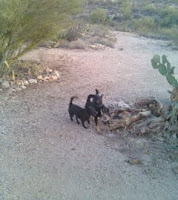 I let the dogs out and they had a lot of fun running around the cactus. Next weekend I need to tie it down a little better since I have it propped up with a trash can and wired to 2 tree limbs, but it did it's job for 10 minutes of doggie playtime. If I buy another roll I might be able to fence all the way to my garage. It will be like my own doggie park. Only 5 more days to go until another glorious weekend. I'm looking forward to it already. Home Depot is very distracting. Do you need to add a room or just remodel/redo some existing space? I want to add a wall at the other end of the mobile home farthest from the dogs. It was the kitchen space before the previous owner ripped out the cabinets. One wall and a door is all I would need but I want to add extra insulation. I also plan to add a tiny bathroom, camping toilet if I have too but the sewer pipe runs right under there so it shouldn't be that hard to add a toilet. Shower will be a little harder but I am sure I will figure it out.